It's taken a little while (just over a year, to be exact), but cloud gaming service OnLive has finally arrived in Britain. Now, UK gamers will get to see what their comrades across the pond have been taking advantage of since June 2010; meanwhile, the service is getting some help from various groups in establishing a foothold in the country. British retailer GAME is the first physical store that is selling the OnLive Micro Console (which is currently selling for Â£69.99). However, it should be noted that "initial rollout will be limited to the group's websites." Meanwhile, OnLive's broadband partner BT has a couple of sweet deals for new its customers interested in signing up with the game service: Even though a normal subscription fee is normally Â£6.99 per month, the first three months will be absolutely free. On top of that, BT is providing an offer where one game valued up to Â£39.99 can instead be purchased for Â£1. 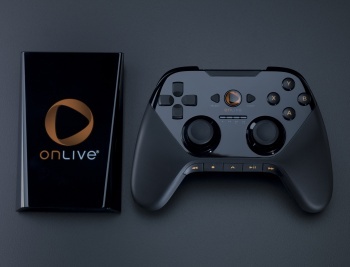 Finally, OnLive content won't count towards data usage until this coming January. Has anyone over in the UK actually picked up an OnLive Micro Console yet and started using the service? Here in the United States, the service has proven (generally) reliable, but things don't always go smoothly when something like this is is launched on a brand new continent.